My Koi is a beautiful and relaxing fish pond for your phone, tablet or computer. Customise and name each fish. Feed them daily. Watch them grow. Collect new fish. Escape and relax. Download here on the App Store today. I have no idea why I enjoy this as much as I do. There is something relaxingly engaging about this that just clicks. Looks great on Apple TV. And the kids like it too. Beautifully rendered and animated koi. Captured their movement and shapes very well. Well done Sakana. I've been looking for a fish pond simulator for years, and I've finally found it. 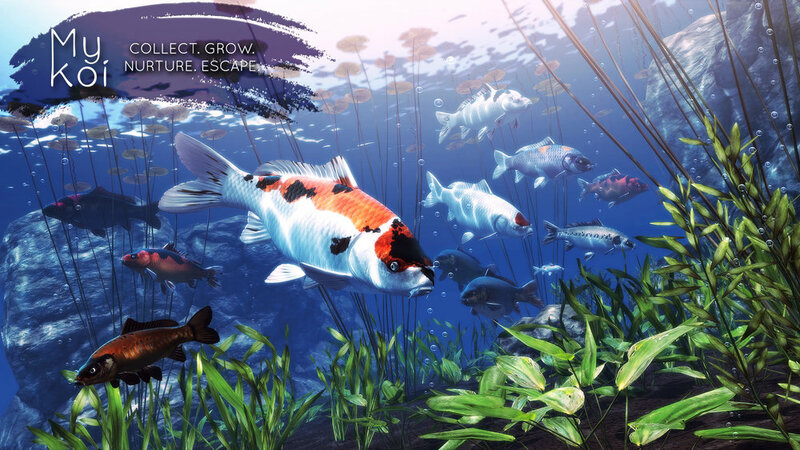 The graphics are gorgeous, and the fish swim elegantly. The devs are very approachable and responsive, and I'm looking forward to seeing this game grow. But, for now, I'm enjoying the simple pleasure of having a koi pond in my pocket.